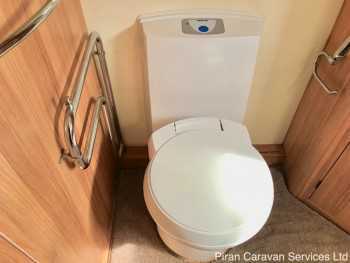 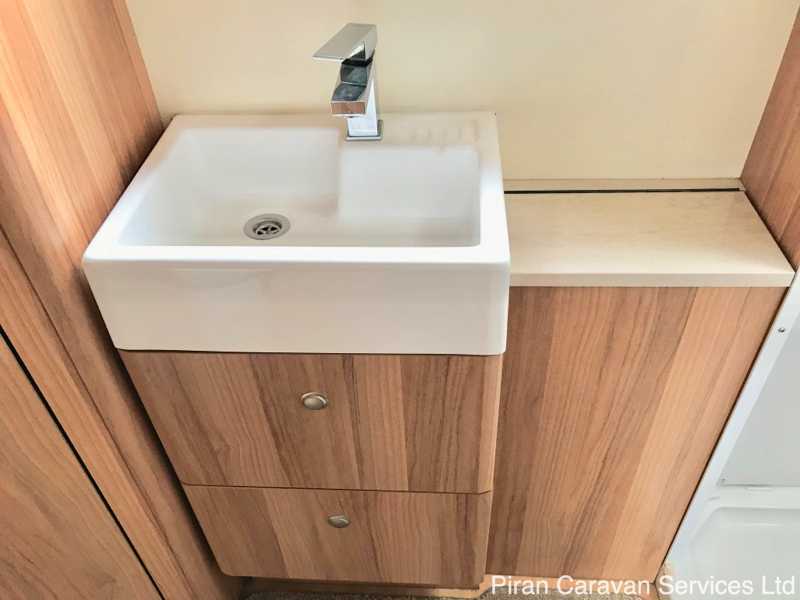 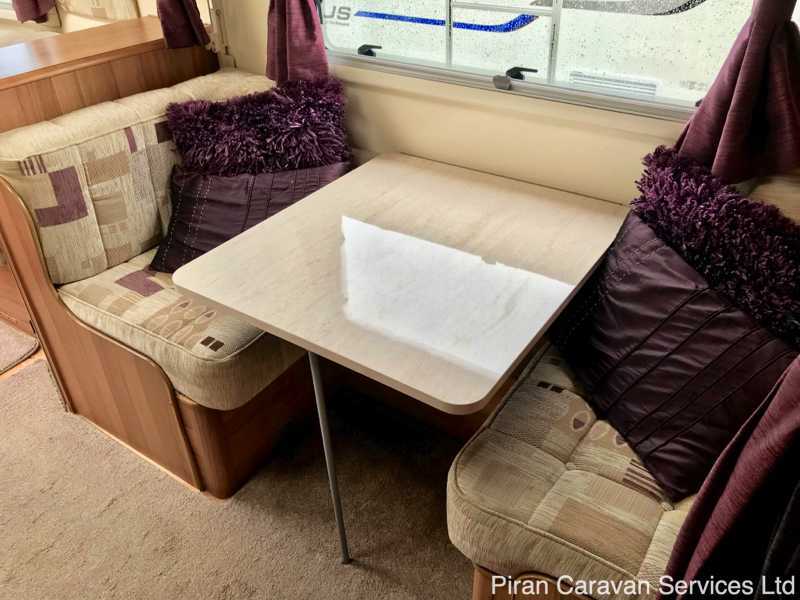 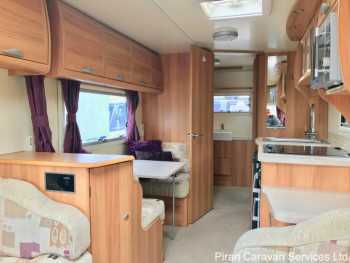 If you are looking for a top of the range 4 berth touring caravan with luxury fittings and every available manufacturer extra, with a popular and spacious flexible side-dinette layout, this caravan will suit you down to the ground. 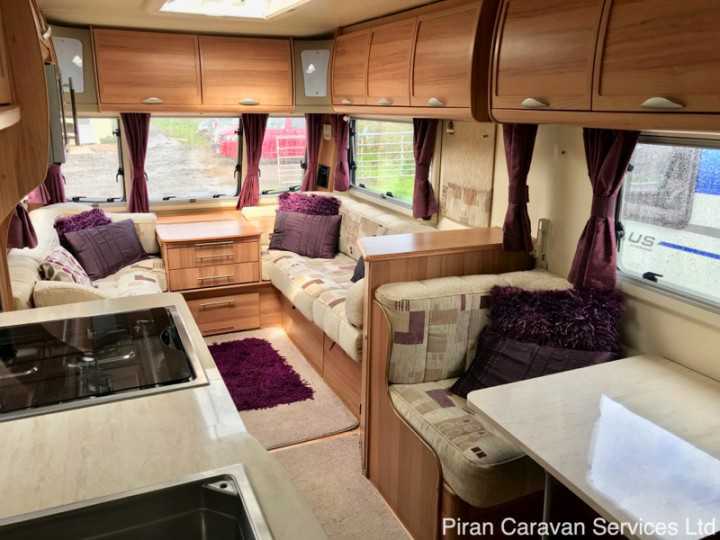 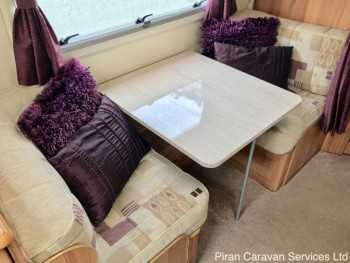 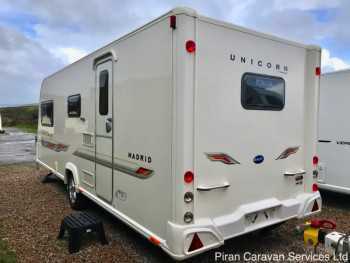 This spacious 4 berth Bailey Unicorn Madrid from 2011 is in superb condition throughout. 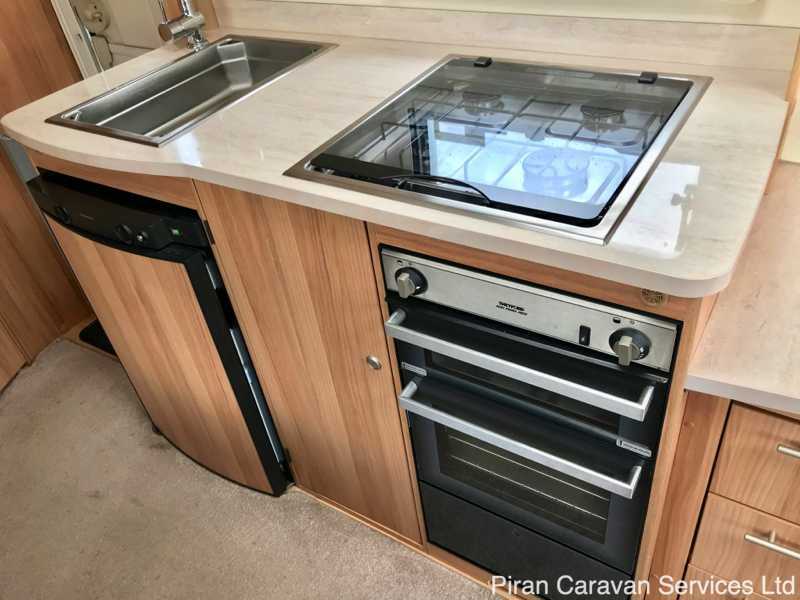 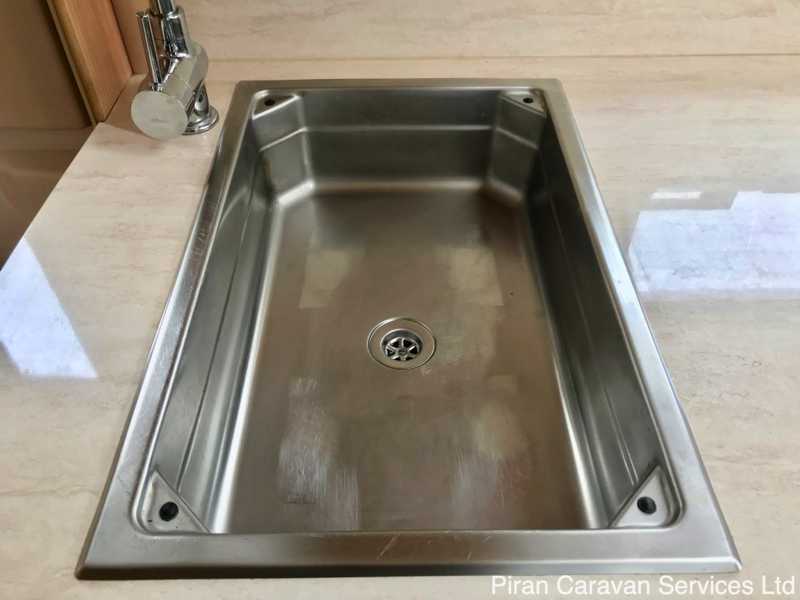 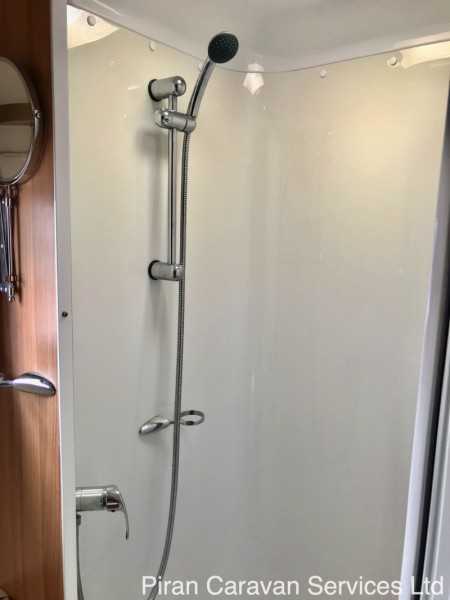 It's a well-cared for example and which has had only very light use - no pets or children inside the caravan and as part of our sales process, it will be put through a full service and damp check by an independent approved caravan workshop. 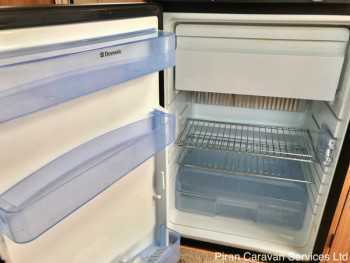 This stunning caravan comes with a documents pack containing all the previous receipts, handbooks and instruction manuals. The Madrid has a very popular layout with a spacious lounge which can be converted into 2 single berths or a large 'pull out' double in the front of the caravan, a side dinette which can be converted into 2 bunk beds for children, the kitchen in the midsection of the caravan and in the rear of the caravan there is a very spacious bathroom with toilet, sink, vanity unit and large separate shower cubicle as well as ample storage. This Unicorn Madrid has been fitted with an expensive roof mounted satellite TV receiver system, a recent leisure battery and extras including an Al-ko hitchlock and Al-Ko Secure wheel locks included in the sale. This Madrid will suit a couple looking for a spacious caravan with extra living and dining space, or families with up to 2 small children who can use the side dinette by day and the bunk beds at night. Bailey stated that their 2011 flagship Unicorn range was designed "For those who appreciate the finer things in life" and with a combination of superior 'Alu-Tech' construction, luxurious interiors featuring Bailey walnut furniture and a five star equipment list including Alde central heating, it's easy to see why Bailey said that the 2011 Unicorn "is a Bailey caravan like no other." Externally, Bailey called the Alu-Tech Body Shell Construction the most significant development in caravan design for over thirty years. 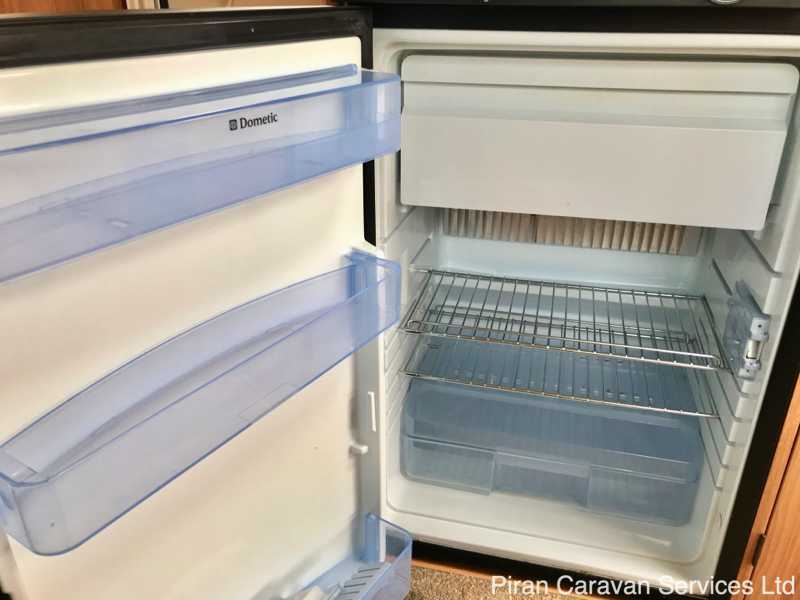 This fully bonded 5 part shell assembly method is lighter and stronger than traditional construction and has enhanced thermal performance. 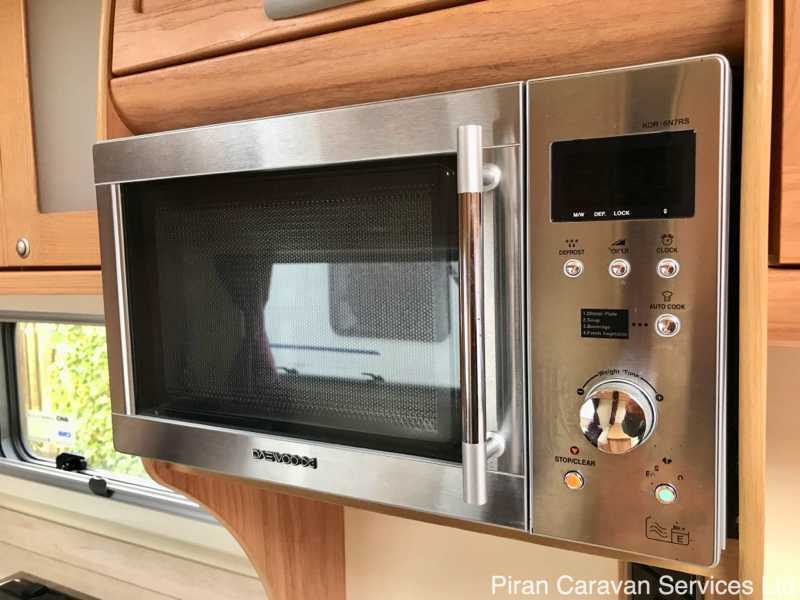 When combined with Grade 111 and Alde heating, this caravan will be comfortable and warm in the depths of winter, with year round touring guaranteed. 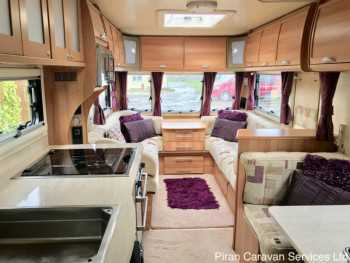 The bodyshell is built on an Al-Ko galvanised chassis, featuring 15" alloy wheels, Al-Ko 3004 stabilising hitch, Al-Ko caravan jack, shock absorbers and chassis mounted spare wheel carrier. 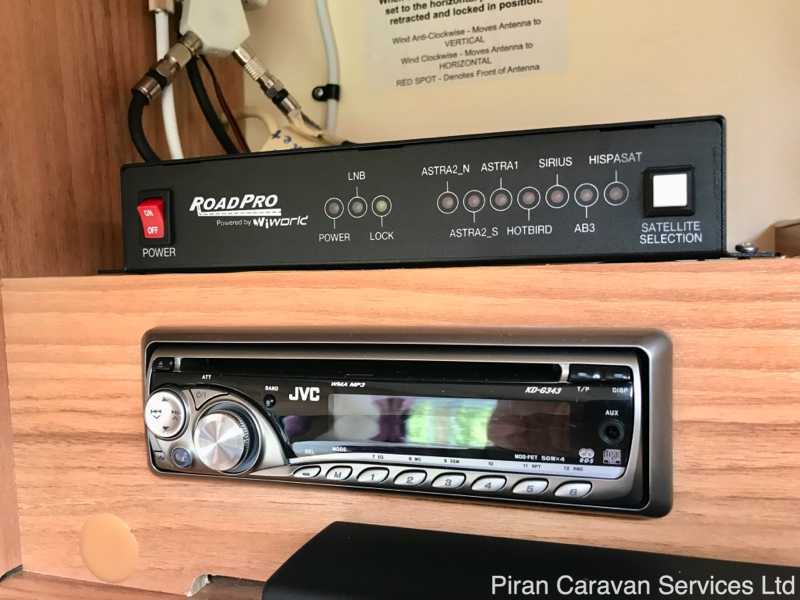 The caravan has Al-Ko Secure wheel lock receivers and the expensive wheel lock pack is included in the sale. 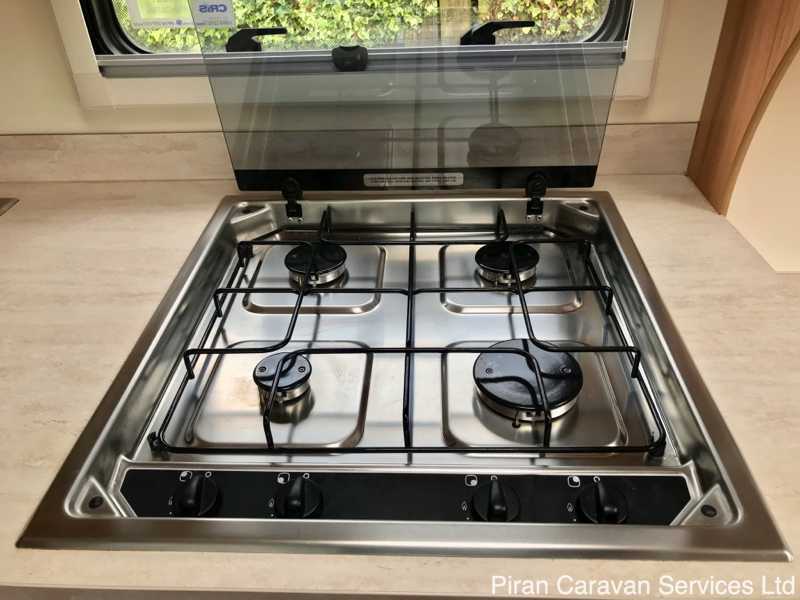 There is a gas assisted hand brake, the caravan is fitted with 13 pin towing electrics, there is an external Gas BBQ point and Al-Ko ATC electronic trailer control ( click here to find out more). At the front of the Madrid, 3 large panoramic double glazed windows provide a wide vista from the spacious lounge, which features twin bench seats or single beds which convert into a large double bed (6’ 10” x 6’ 3”), using the pull out slat system housed underneath the handy storage chest. 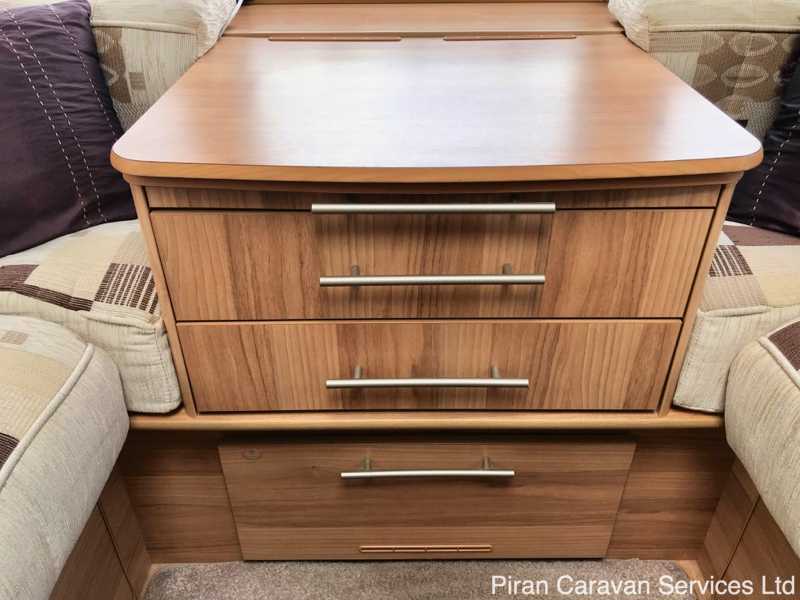 The spaceframe construction overhead 'aircraft-style' lockers are finished, like all the furniture in the unicorn seville, in beautiful Bailey walnut veneer, and there is additional storage underneath the seats. 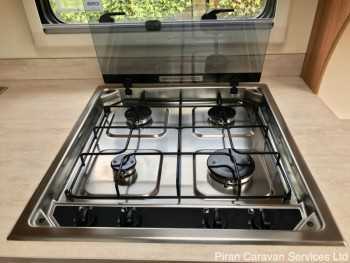 Chrome handles finish off the furniture. 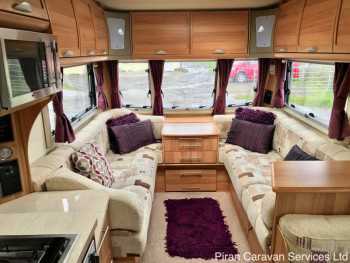 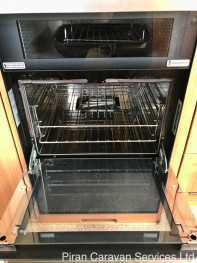 There is a handy pull out coffee table built into the central storage chest and if a bigger dining space is required, there is a separate table which seats 4, housed in its own locker. 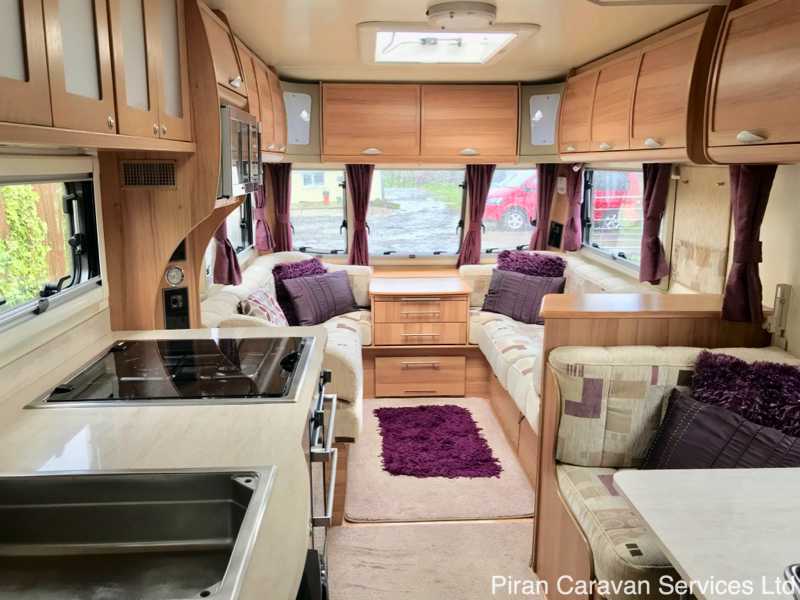 Set into the roof of the lounge is a Heki 3 roof light - this gives the lounge a light and airy feel as well as plenty of ventilation when fully opened. 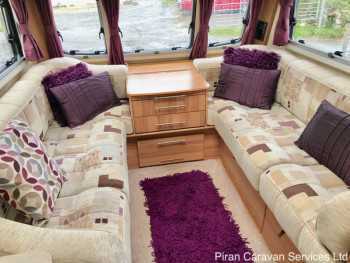 There is a TV point with 12V, 230V and an aerial socket. 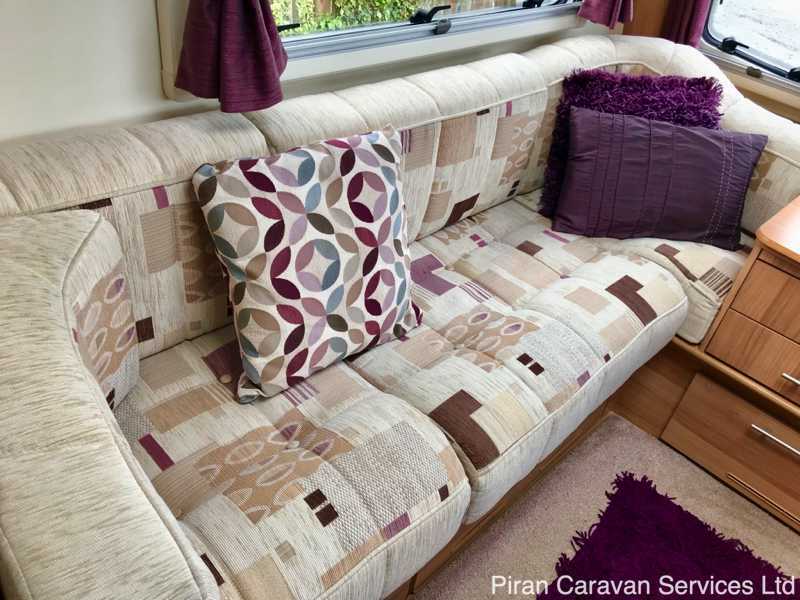 The seat cushions are upholstered in attractive Bailey Mozart fabric and are complimented by matching scatter cushions and curtains. 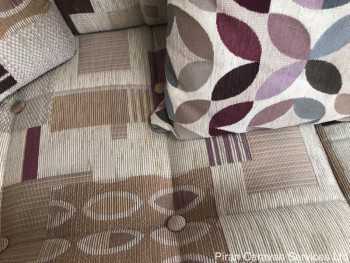 There are detachable deep-pile carpets with a wood block effect vinyl flooring underneath. 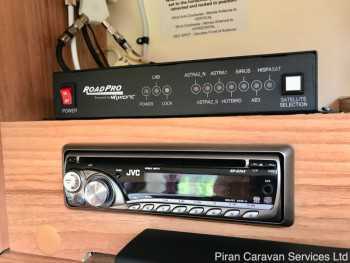 There is an inbuilt branded CD/Radio/MP3 player (with ipod connectivity). 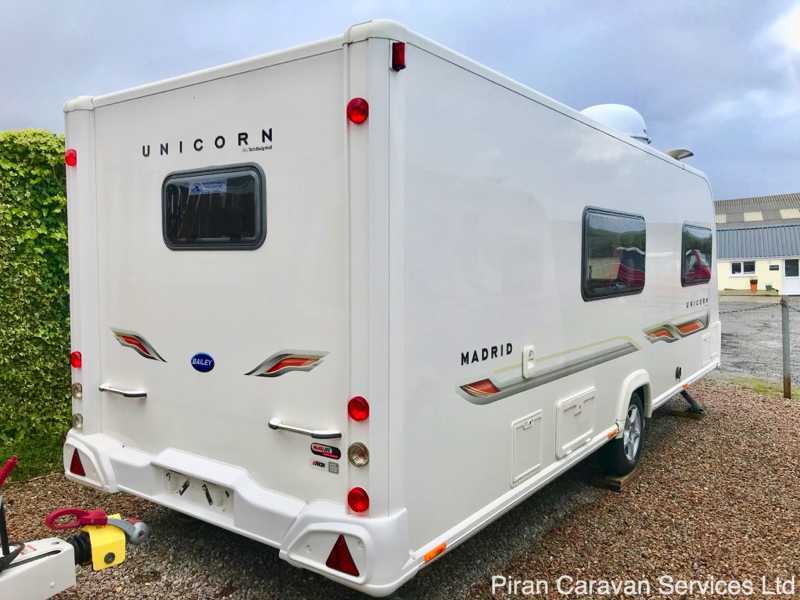 All the windows in the Unicorn Madrid are double glazed, with nigh ventilation latches, and are fitted with Horrex pleated blackout blinds and flyscreens. Moving back through the Unicorn Madrid, a 2 seater dinette provides useful living and dining space in this caravan, whilst maintaining an open feel to the interior. The dinette can be converted into 2 sturdy bunks (with ladder and safety rail) and there is a privacy curtain that can be drawn around the bunks at bedtime when they are in use. 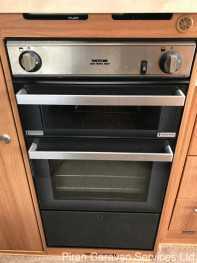 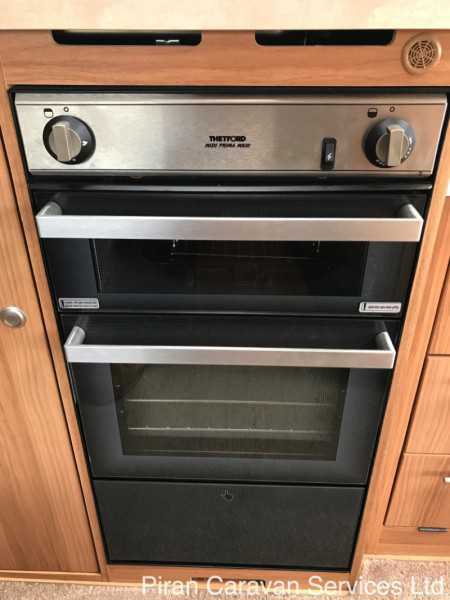 Opposite the kitchen is another TV point with 230v, 12v and aerial connections and additional storage below, with clear reception provided by the status 530 directional aerial. 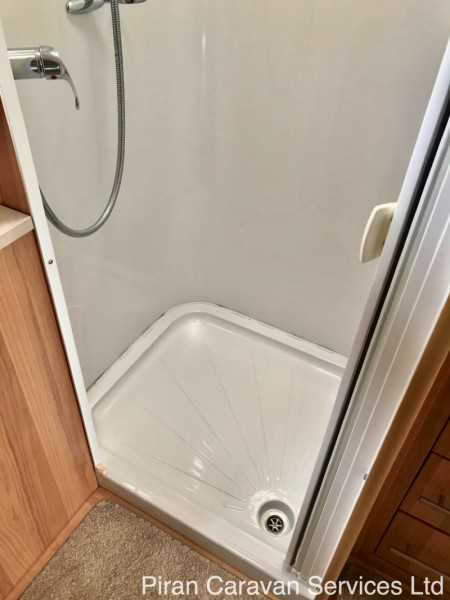 At the rear of the Unicorn Madrid, the very spacious end bathroom/dressing room has a Thetford c-260 cassette with electric flush, a separate large fully-lined, walk-in' shower cubicle featuring an 'Ecocamel' shower head. 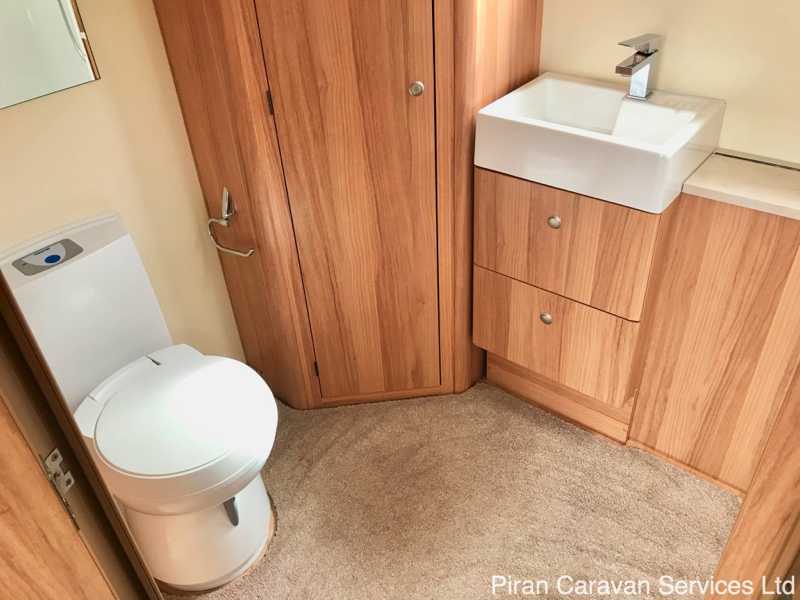 There is also a vanity unit, finished in Bailey 'Walnut' with a useful and stylish 'Belfast'-style sink, bathroom cabinet, mirror and a large hanging wardrobe with shelves. 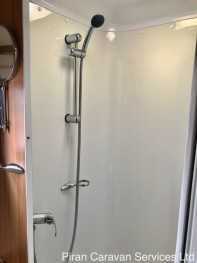 There is even a heated towel rail! 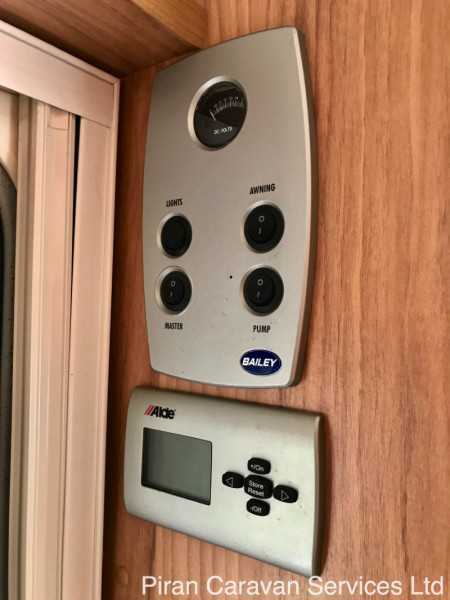 The Alde Hydronic Compact 3010 is a fully programmable heating system using radiators and gives the owner full control over the temperature in the caravan. If desired, you can ensure that you always come back to a nice warm caravan with the 24hr programmable timer. 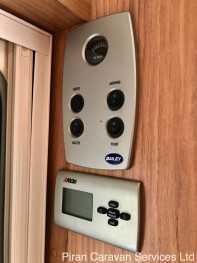 The Alde 3002 heating and water heater both can be run off electric and gas. The caravan is fitted with a combination of both 12V and energy saving mains 230v LED lighting. 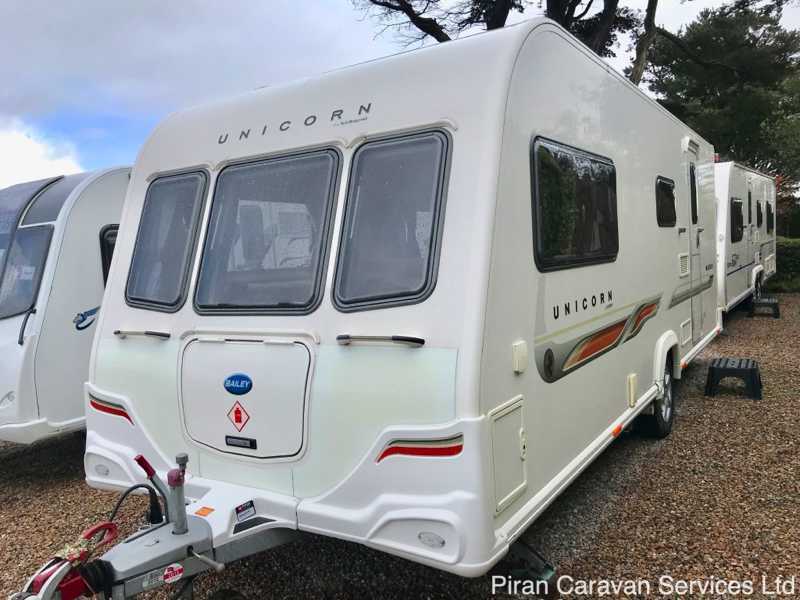 For security, the Unicorn Madrid comes with a Tracker intruder alarm, a Tracker Monitor system and Al-Ko 'Secure' wheel lock system, ensuring that you can keep your top of the range caravan safe. 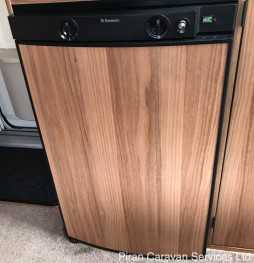 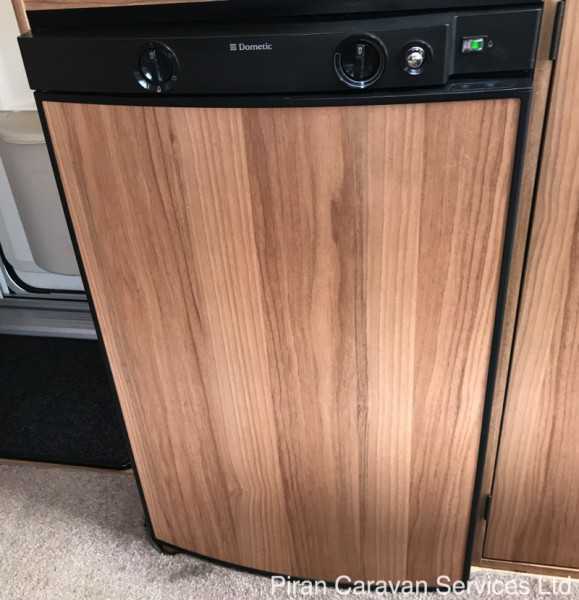 This caravan will be serviced and damp checked by an independent approved caravan workshop, and will be fitted with 2 brand new tyres as part of the service. 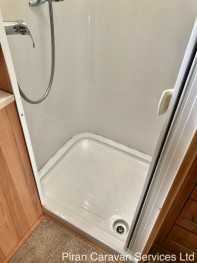 This caravan will need nothing and will be ready to take away on its next touring holiday. The fact that it comes with an expensive dealer fitted satellite TV system, Al-Ko secure wheel locks and other extras make this caravan exceptional value for money. 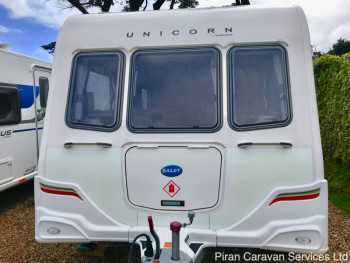 In summary, this Bailey Unicorn Madrid touring caravan is ideal for a couple or small family looking for a stunning top-of-the-range caravan that can be towed comfortably by a large family car. 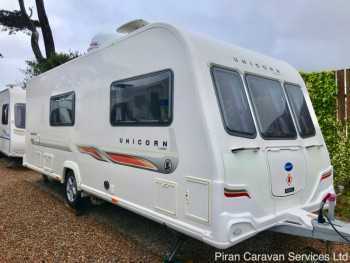 It will be ready to hitch up and take away on its next caravan holiday, and its new owner will certainly appreciate that in a Unicorn, you are guaranteed to be travelling in the kind of style, comfort and luxury that will make your caravan the envy of the campsite!